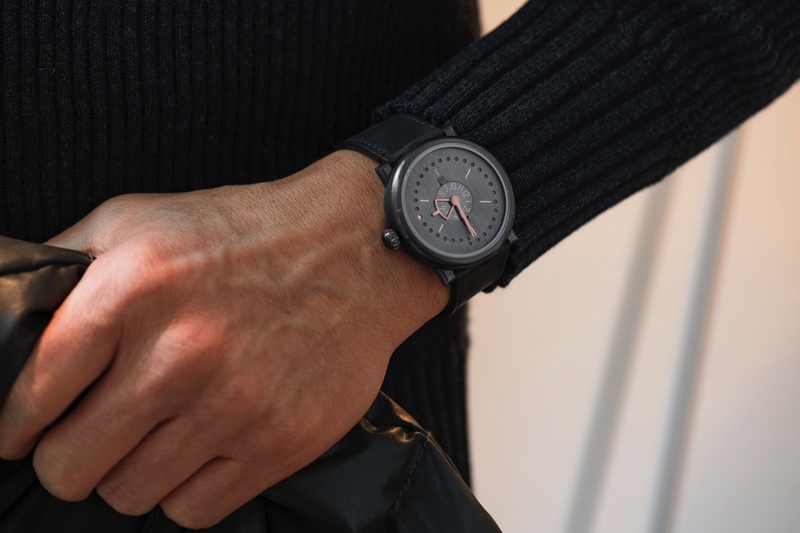 Ochs and Junior has announced a new version of their Anno timepiece, now with an even simpler dial configuration. The Anno is an Annual Calendar (which only needs an adjustment once a year, in February). 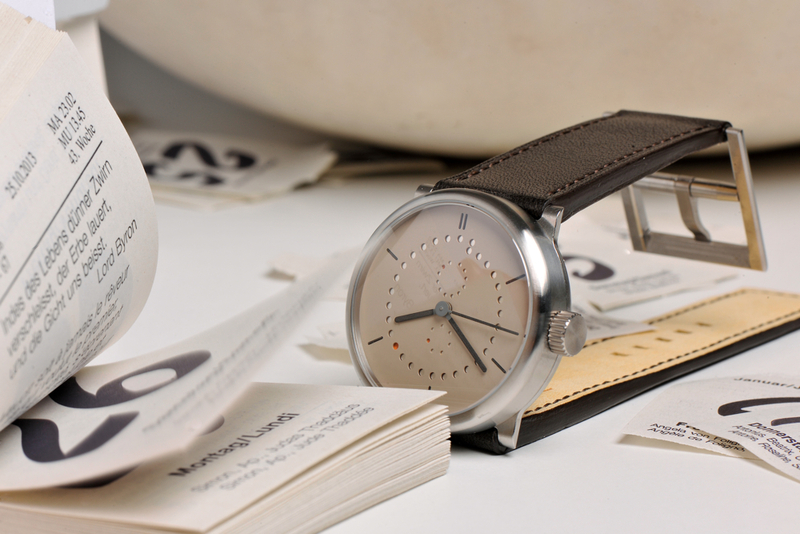 But this is not your typical Annual Calendar; instead of 40 parts for the calendar complication, there are only 3. 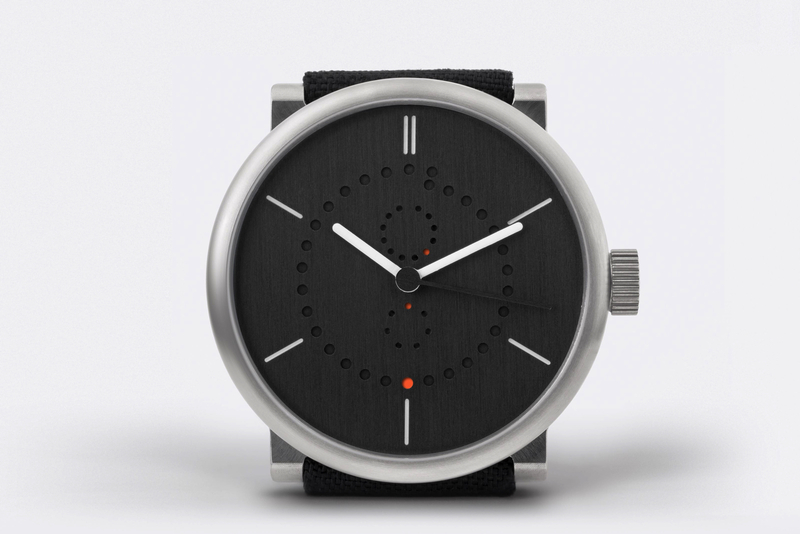 Furthermore, to indicate the month, date and day — dots replace numbers, offering the wearer something more distinctive than a typical Annual Calendar. The outer ring indicates the day of the month, the ring at 12 o’clock indicates the month and the ring at 6 o’clock indicates the day of the week (hit “Read more” to see diagram). Central hour, minute and second hands indicate the time. The Anno now available in steel, as opposed to just gold. Accordingly, the price is significantly more affordable. 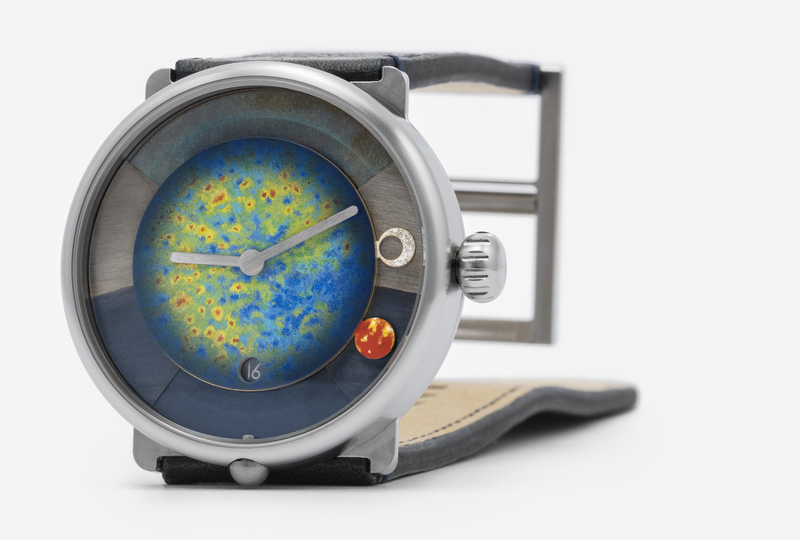 Furthermore, you can go online and customize the case size and there are 58 colors to choose from for the dial, hands, indices, date dots and strap.